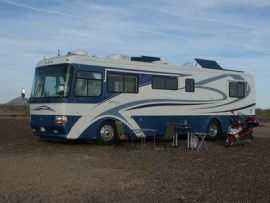 RV-Insight is about RV Living, the fulltime lifestyle and camping in an RV - We'll cover all aspects of RV'ing. 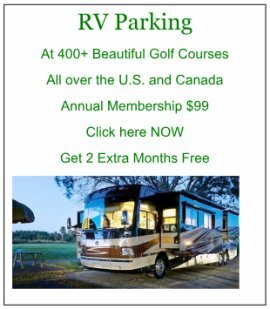 RV-Insight is for new Rv'ers, old timers and those that want to learn about it. 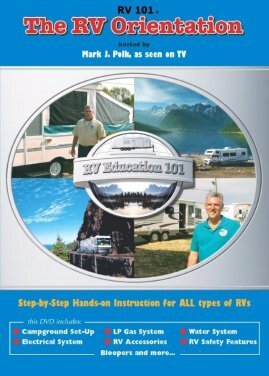 We want you to understand everything about RV Life and living in an RV. That includes RV Boondocking and Fulltiming as a frugal living lifestyle. "What's our Favorite RV Living experience?" That's a question that always gets asked when we travel. We started living the Recreational Vehicle Lifestyle in late 2009! We were your typical American couple - had a house, car, pets, etc. The daily grind was getting worse and worse! After serious soul searching, we researched RV living and traveling fulltime in an RV. Could we enjoying living in an RV - with its smaller space (and still be friends!)? Could we afford it? Where would we travel? Camping in an RV? Could we find jobs as we traveled? Where do you park it? What about all our friends and relatives? Would we miss the stick and brick house? What do we keep/store/giveaway? Best comment of all from friends and relatives - "You're Going To Do What ?!?" Could we really enjoy the RV Lifestyle? After almost a year of seeking answers - from a mini motorhome to a 5th wheel - we took the plunge! We purchased an incredible used 2000 Monaco Windsor Motorhome. It's a 38' Diesel Pusher from a wonderful gentleman in Alabama and "hit the road"! Lottery Dream RV? Tour the WORLD!! As we drove away from our stick and brick, we couldn't even walk down the aisle, it was so cluttered! We had decided to sell everything or give away most of our "things" - and our journey of RV Living began! That first go around we kept too many items! We've whittled it down to only real necessities and are actually much happier! 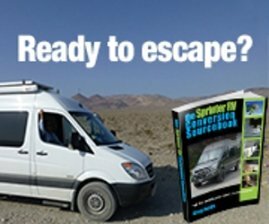 We have since traveled in our home on wheels from the Northeast, to the Southeast and enjoyed boondocking all across the Southwest. Then up to Utah (worked there) and all the way up through Canada into Alaska and back into the Northwest. We've seen some incredible sights along the way and learned so much more. RV-Insight is helping us share this experience with you! We don't know all the answers, but we have experienced so much since we left. All our researching has paid off - we love it!! To achieve the right decision for you, you need to get your mindset around what RV Living is like. 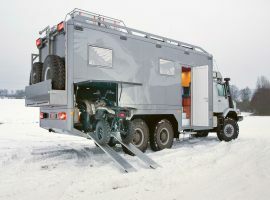 Boondocking, Fulltiming, etc. is it really for YOU and your Partner? After all, you both will be living it! 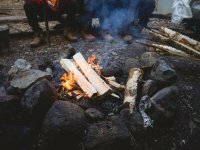 Just like choosing a house and its best location; different, but very similar points, must be researched first to be truly happy in your RV Living Lifestyle! 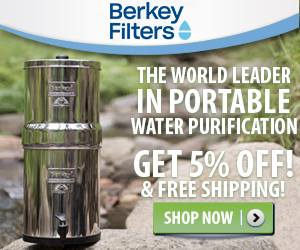 * Is Boondocking for You? There are two kinds of people in this world… Those that think living in an RV is insane, and those that think RV living is totally magnificent. I’m not sure which group you fall in, but we reached out to 20 full-time RVers to find out why the RV lifestyle is so attractive. Please enjoy our website - RV-Insight - as we try to give you the best RV-Insight possible.